On the Friday that is the 19th day after the feast of Pentecost the Church celebrates the feast of the Sacred Heart. On that day, as just about every Friday of every week of the year, my pro life colleagues will be present in front of two local abortion facilities. They will offer the counsel of life to those seeking death. They will also offer emotional support and financial assistance. They will pray for peace and healing. They will pray for the souls of the children killed and for the mothers and fathers who bring them there to be killed. They will pray too for the abortionists who do the killing. What these generous and dedicated people do at those facilities is intricately related to what the Church celebrates on the feast of the Sacred Heart. Indeed we must, and so the feast of the Sacred Heart is a fitting day to be present at a venue where evil does not just occasionally or randomly occur, but is scheduled. A place where the killing and the shedding of innocent children is sold like a commercial service. It is a gloomy and loveless place, but how could it be anything else? There is perhaps no better example of the rejection of God’s love by a sinful humanity than abortion. Man sets himself up as a god, claiming the power of life and death. The miracle of human life, which in the Divine plan is the gift of eternity, is rejected in bloody violence. The contrast between the abortion seekers and the Sacred Heart is stark. His heart is the fountain of a love so great that he died for all mankind. Their hearts are consumed with an anxious self-preservation so great that they are willing to sacrifice the lives of their own innocent children for it. The very instinct of the maternal heart to nurture and to protect — to love — is overcome by selfishness or fear or both. It is the mission of those working in the pro life apostolate to extend to the abortion seekers and the abortionists the invitation of the Lord Jesus to come into His heart to be enfolded in infinite love. Most will reject the invitation, but that, as we know, is not peculiar to our times or even to abortion facilities. Nevertheless, we are called to faithfulness in the witness to life, and, through grace, some who come seeking death will accept the invitation and embrace life. John Paul’s words are intended for Catholics, and for non-Catholics too. But those in the pro life apostolate should especially listen and meditate on his words. If witnessing to life and being instruments of the Sacred Heart is anything, it is cooperating in opening to the abortion seekers the prospect of being raised to their own personal and communal fullness and keeping them from the perversions of their human hearts so that they may know the full meaning of their lives and destinies and the lives and destinies of the children whom they seek to kill. Pro life work begins, as does authentic labor in any Christian apostolate, with the Eucharist. And it ends there. 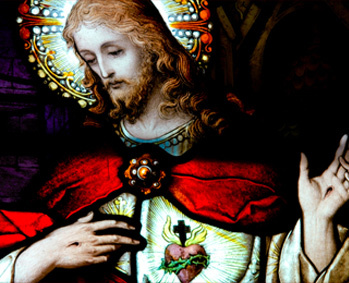 We are not properly prepared to go out to offer His Sacred Heart at an abortion facility or anywhere else unless we have met the Lord in the Sacred Liturgy. We cannot complete our pro life work unless we return to the Lord of the Eucharist to present and offer that work and the souls whom we encounter in that work to the same Lord. So on the 19th day after Pentecost I and my pro life brethren will go out to the abortion facilities in our city, but not before we, in our own imperfect way, have entered into communion with Jesus in His Sacred Heart. Then in due course we will bring our labors and the needs of those to whom we labor before Him.